Our lighting support equipment is easy to install and can be used in all kinds of environments such as subsea tunnels and offshore installations. We offer a complete range of robust, cost-efficient lighting support equipment systems which are simple to install and suitable for any location. Our support system includes armature holders and cable stretch preventers designed to suit all brands of luminaries. 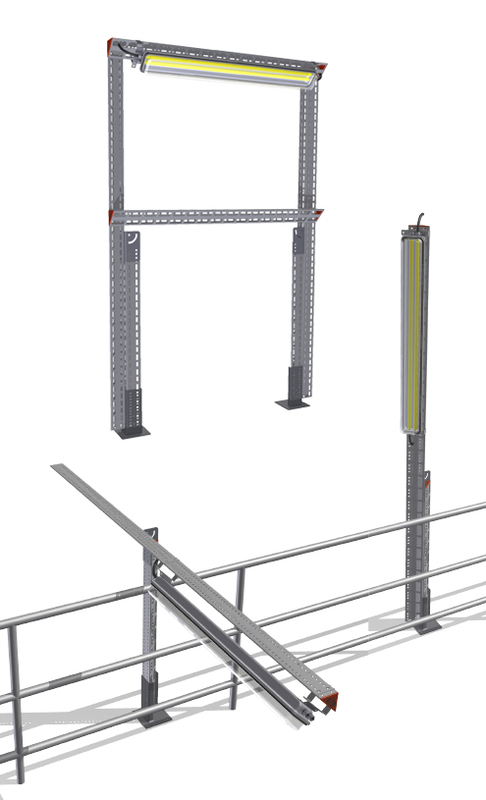 These are supplemented by our complete range of flexible brackets, cable trays, cable ladders, covers and accessories to complete any installation. We can offer systems to suit the lightest to the harshest of environments including subterranean tunnels and offshore installations. They are designed and manufactured accordingly and promote easy installation whatever the location. Stretch preventers are available for a range of lighting armatures for both outdoor and indoor use. They are designed to provide an anchor point for cables to prevent stretching the cable from the fitting. In addition, the outdoor types are designed to act as a drip collection point to lead water away from the light fitting. Where there is risk of vibration and where exposed to wind, we recommend fitting the stretch preventer directly to the armature. By combining standard products, many custom support configurations can be easily constructed. Two such examples shown here are for lighting poles constructed from standard Mekano® 100-2T Triangular channels. 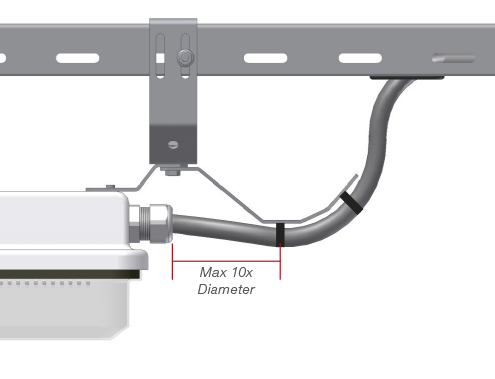 These solutions are designed to simplify service regarding the lamp or other equipment positioned 2-3 m overhead. The possibility of lowering the equipment for service gives great advantages in proactively improving HSE by removing the need to work at height. 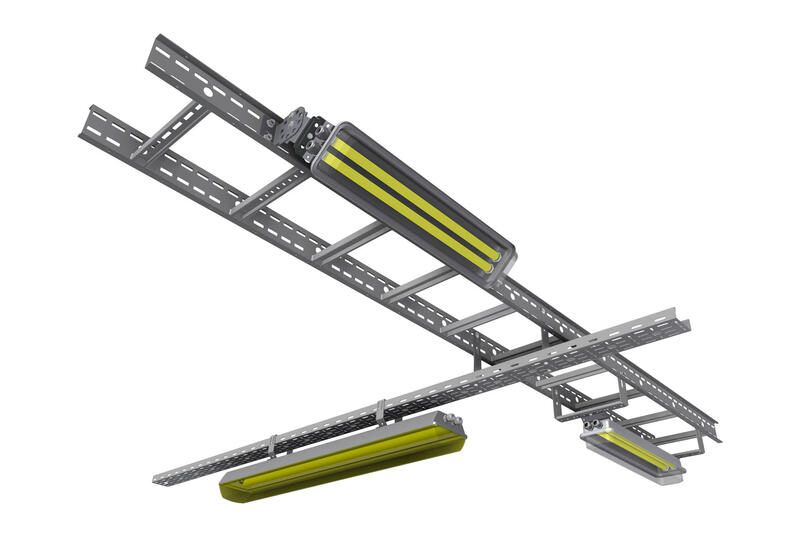 Complete floodlight support system, adaptive to change with endless possibilities.